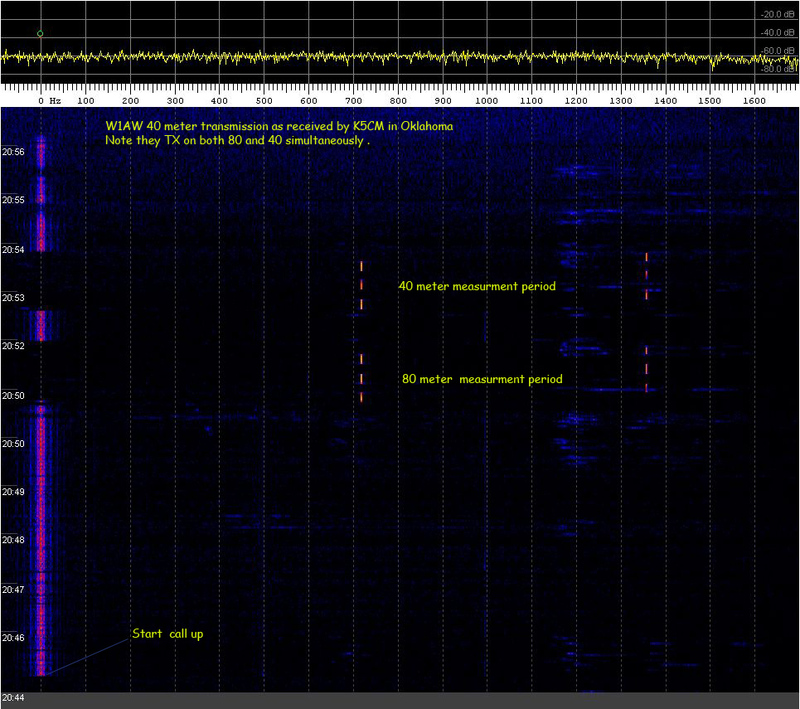 W1AW does appear to have started at their appointed time. WA6ZTY started his 80 meter run about a minute before W1AW stopped transmitting. 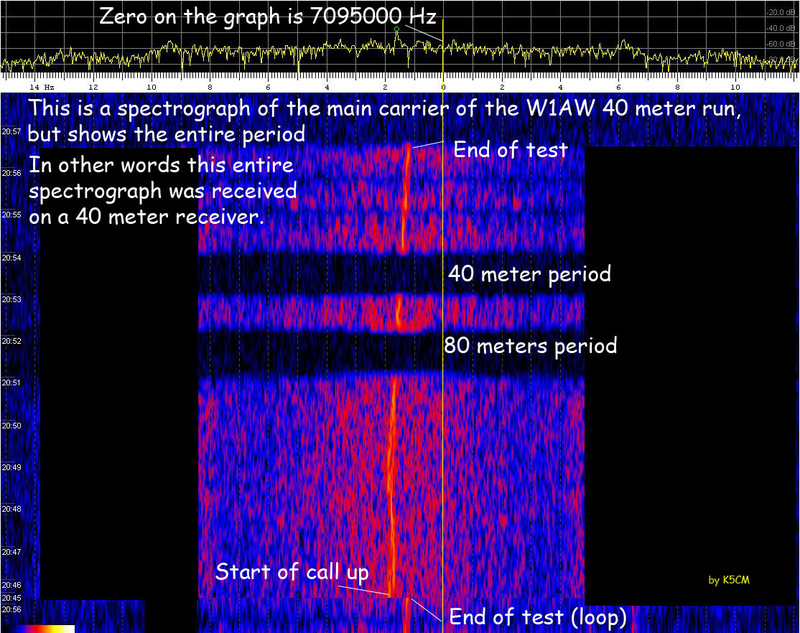 Note: What appears to be a forth tone is actually WA6ZTY sending dots at the end of the run before returning to the carrier frequency. 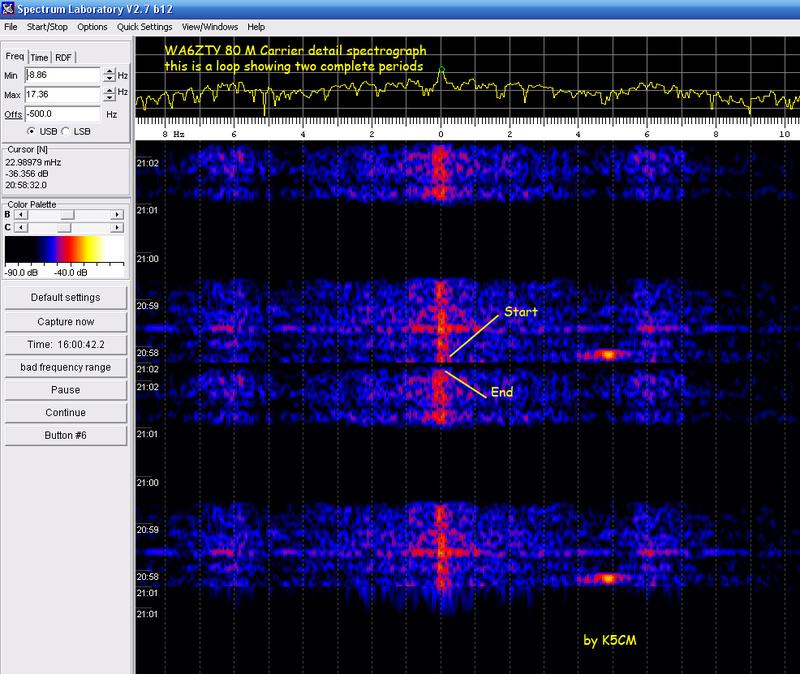 Propagation was poor to WA6ZTY at the time, signals were too weak to be heard by ear. 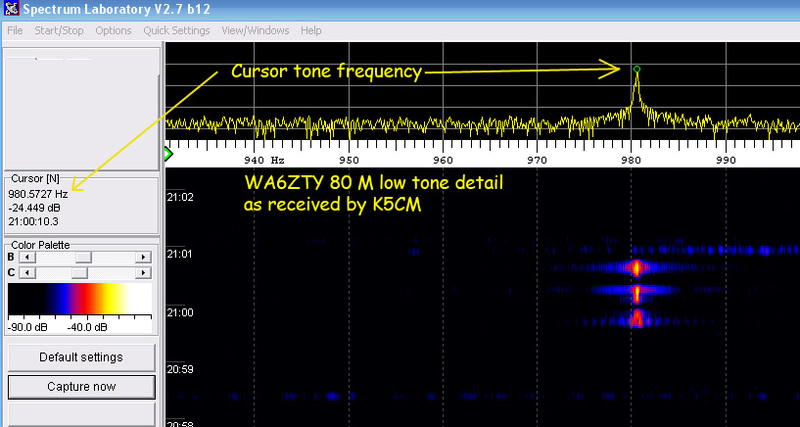 Note that the carrier shows to be .0067 Hz high on this click of the mouse Cursor at 20:58:32 central time. 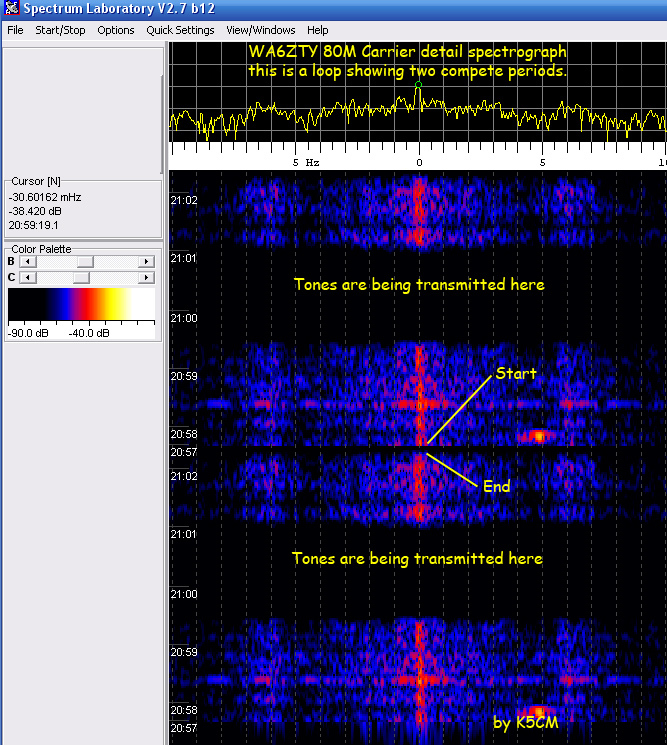 Less than +/- 75 millihertz of Doppler was noted during this 4 minute period. 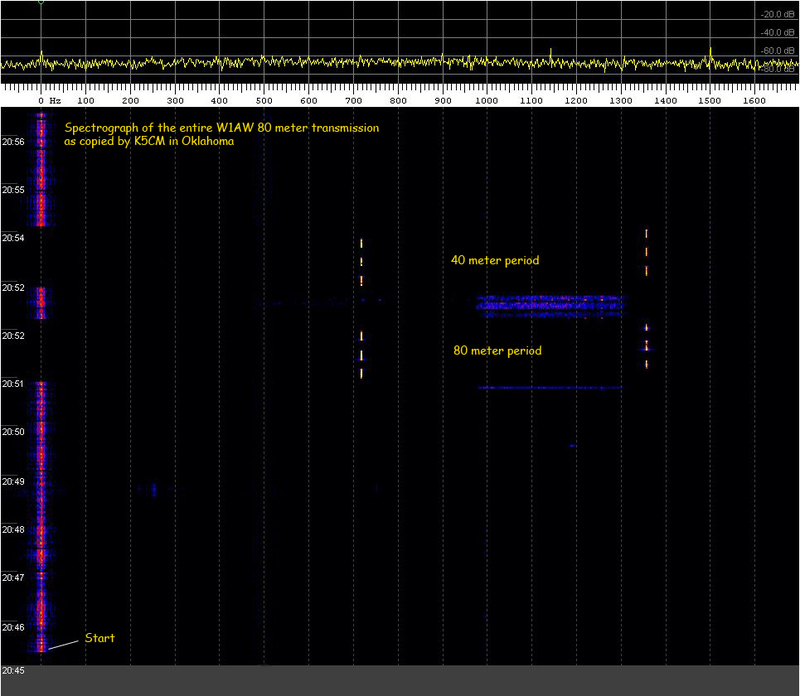 Remember a negative off-set from zero represents a positive increase in real RF frequency on these spectrographs. 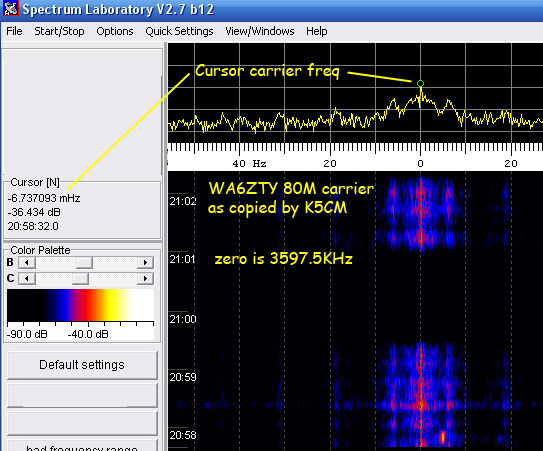 Note: What appears to be a forth tone is actually WA6ZTY sending dots at the end of the run before he returned to the carrier frequency.